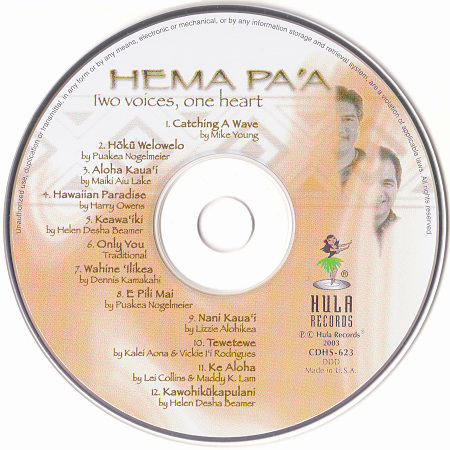 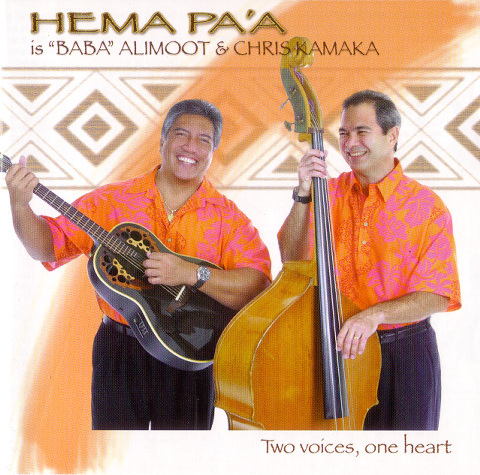 HEMA PAA is the duet of William "Baba" Alimoot and Chris Kamaka. 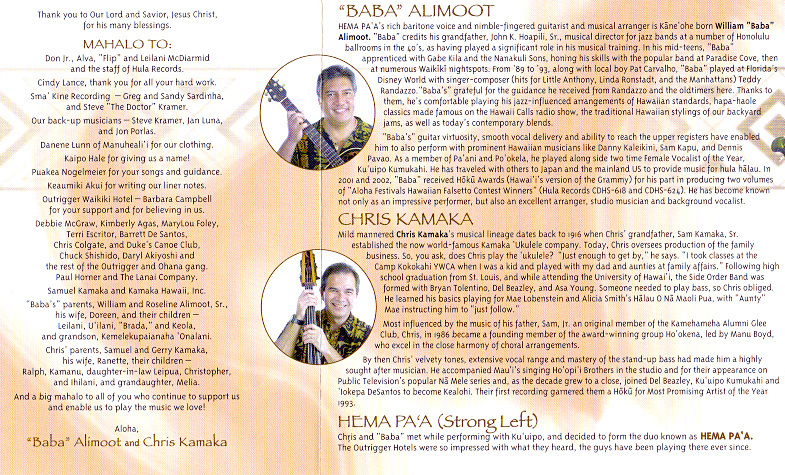 Both are long time performers of Hawaiian Music. 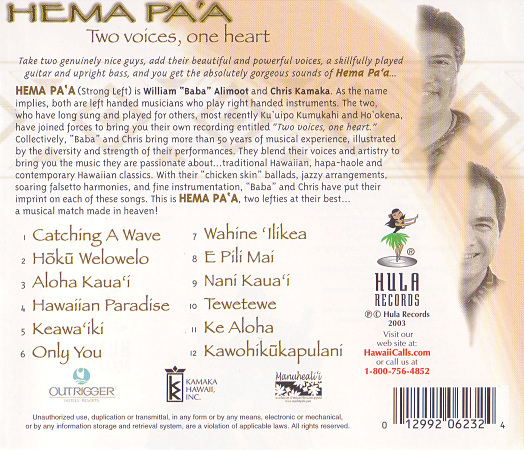 It features Aloha Kauai and Nani Kauai for those of you looking for songs about Kauai.